Zoye is the most versatile oil in your kitchen. 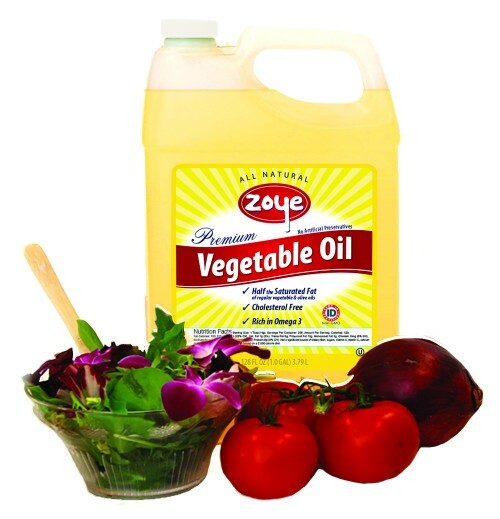 It is a light cooking oil that won’t overpower your recipes, Instead, Zoye allows the richness of your ingredients to come through, enhancing the flavor of your foods. Despite its light flavor profile, Zoye has a smoke point of about 475° F and is stout enough to be your everyday frying oil. Naturally low in saturated fats and rich in Omega 3 and Vitamin E, Zoye is the healthier choice. In fact, it has half the saturated fat of both regular vegetable oil and olive oils. Zoye is gluten-free, dairy-free and cholesterol-free and contains no allergens. It is also a Non-GMO product. Click for allergen free statement. I LOVE this oil! It is hands down the best oil for cooking and baking. Makes a, noticeable difference in flavors of foods. Fries up light. I cannot find a better oil and it is one of the very few products that lives up to its promises.